Reds keeping possession until they can break the middle zone with a pass or a dribble and connect a 1 touch pass with the yellow target player. Wide players and inside players can interchange positions. If blues win possession they play a pass into the end target player or dribble over the end line to change roles. 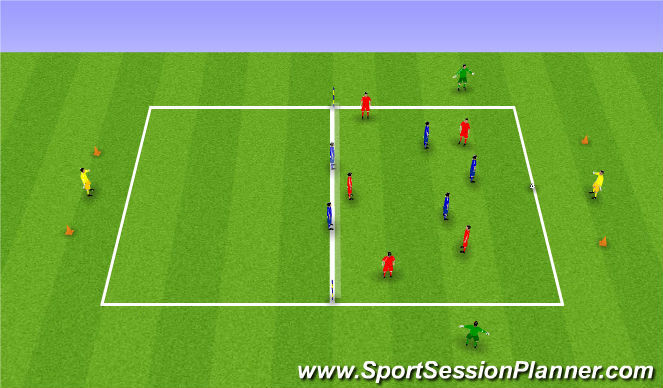 Types of runs, types of passes, quick combination play, dribbling at pace, timing of runs.